Even in a big race...there are moments when we run ALONE! At the Jingle Bell Run in Somerville, MA. We runners are a curious lot. We love to run together! 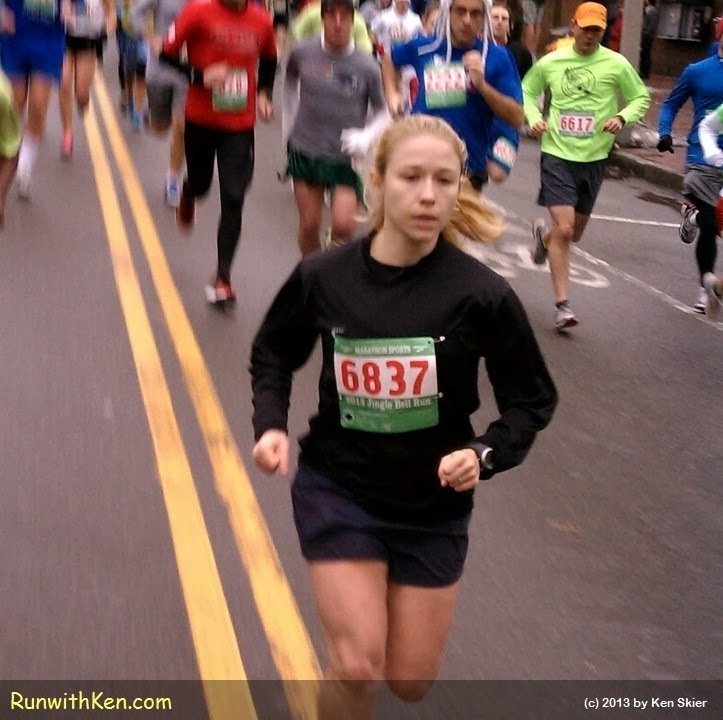 the Marathon Sports Jingle Bell Run in Somerville, MA. But every runner knows: you've got to run your own race. So sometimes--even in a pack of thousands--we run alone. I took this photo while running. This runner was just behind me. (Yes, I was running. Did not stop or slow my pace.